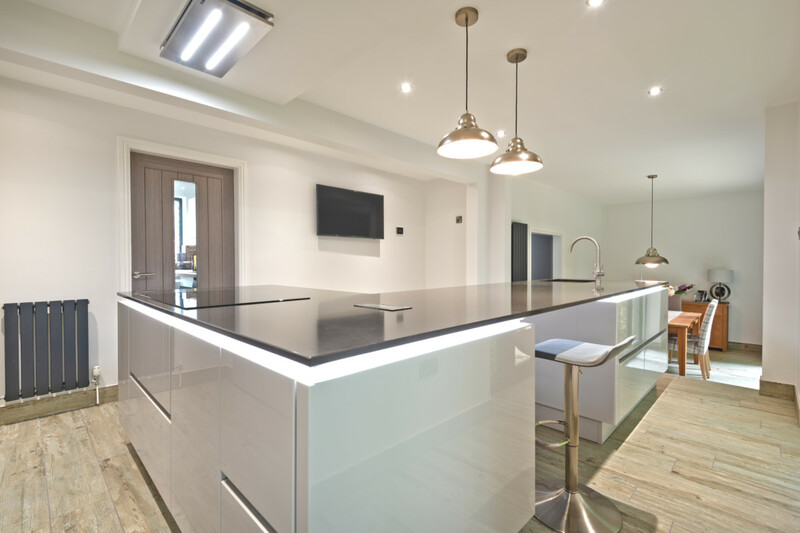 Modern Nobilia Kitchen Designed in Satin Grey High Gloss Handleless, Silestone Calypso worktop. 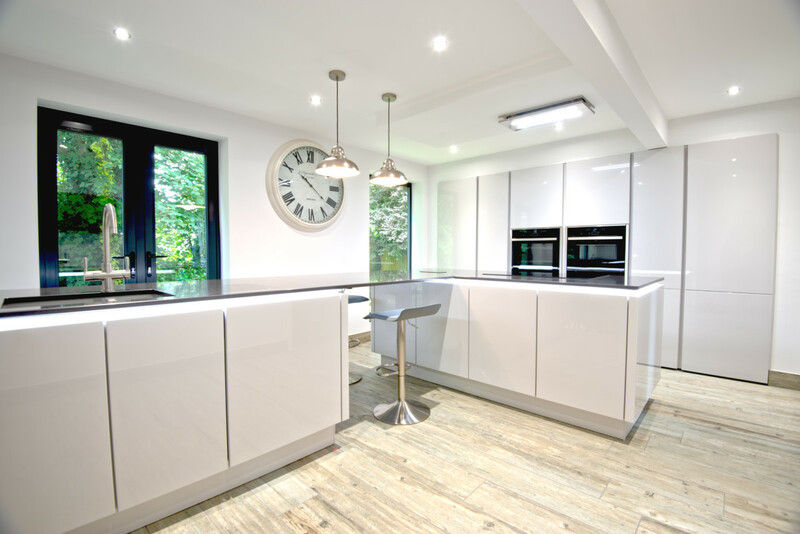 Through structural changes we have opened up the heart of the home and created a light, airy modern kitchen and entertaining area. The project required us to remove 2 internal walls, one of which being a supporting wall which required careful propping and a 5.4 metre long H frame lintel. We overcame the level differences between the rooms by creating steps. We supplied and installed the Bifold doors, french doors and a drop down picture window. To do this, structural work was involved – We propped and inserted a lintel above the Bifold doors. This has opened up a real link between the kitchen/entertaining area and the garden. Much aligned with how the couple envisaged this space being used. 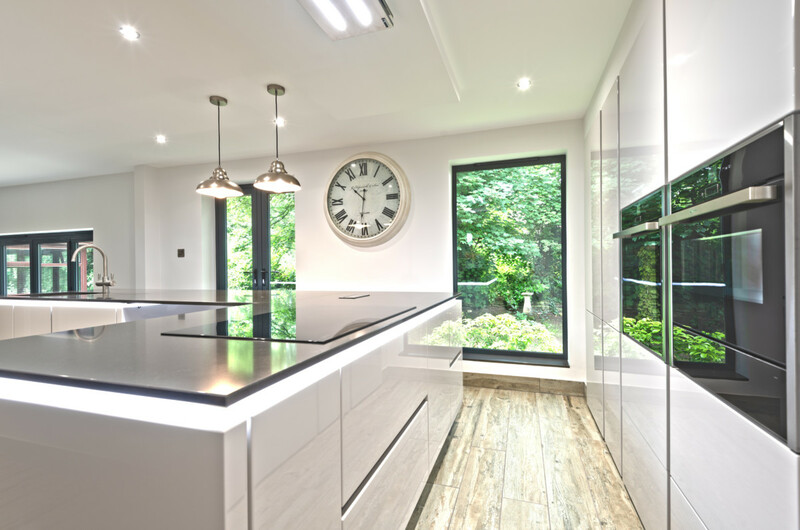 The drop down window opens up a picturesque view of the garden from the cooking area, along with the openness of the room it really creates a great hub for anyone working to be involved with the rest of entertaining area. This project was managed and worked on by us from start to finish, along with our great team of tradesmen. 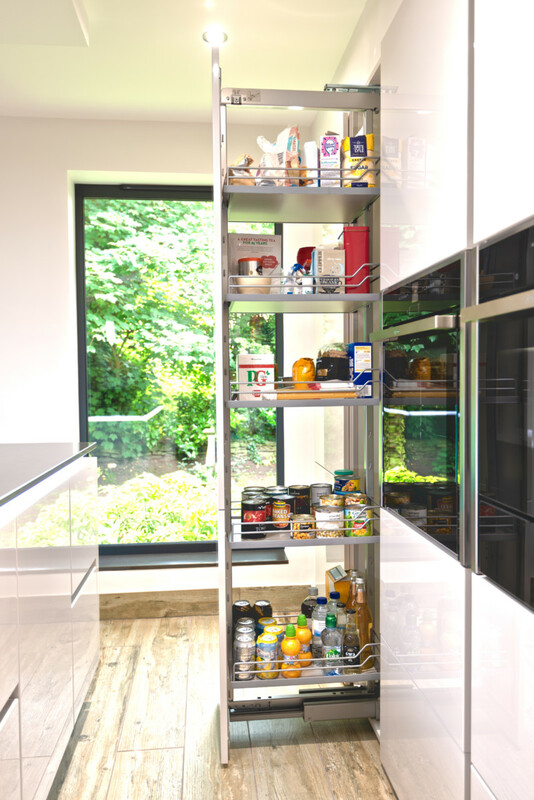 The kitchen fascia chosen here is from the Nobilia range – our top of the range German Kitchen Supplier. 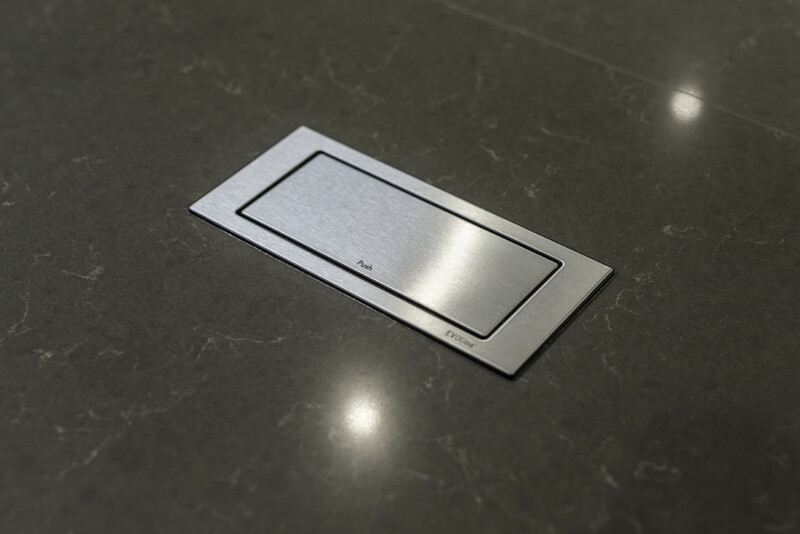 This is a Satin Grey High Gloss finish in Handleless. A nice feature added here to really distinguish the two seperate islands it the continuous LED lighting strip which wraps around each island. The tall punched in bank houses top of the range Neff appliances, along with ample storage. 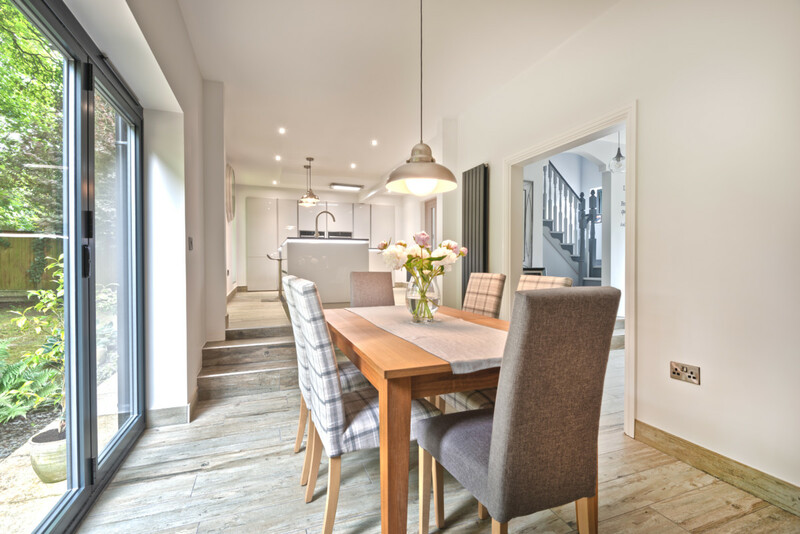 We love the practicality of the tall units here and the way they sit down on the floor creating a walk in look. 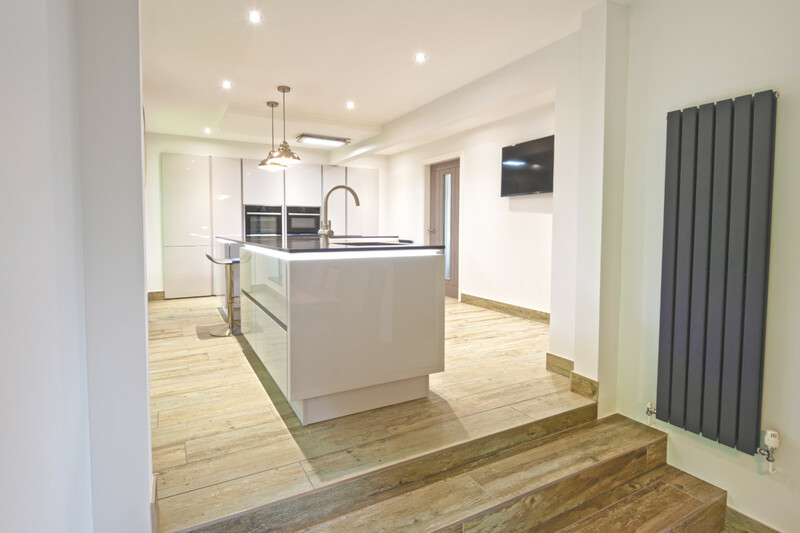 We supplied and laid the RAK Porcelain wooden plank floor tiles along with underfloor heating throughout, this gives a very robust finish whilst looking striking against the subtleties of the kitchen. 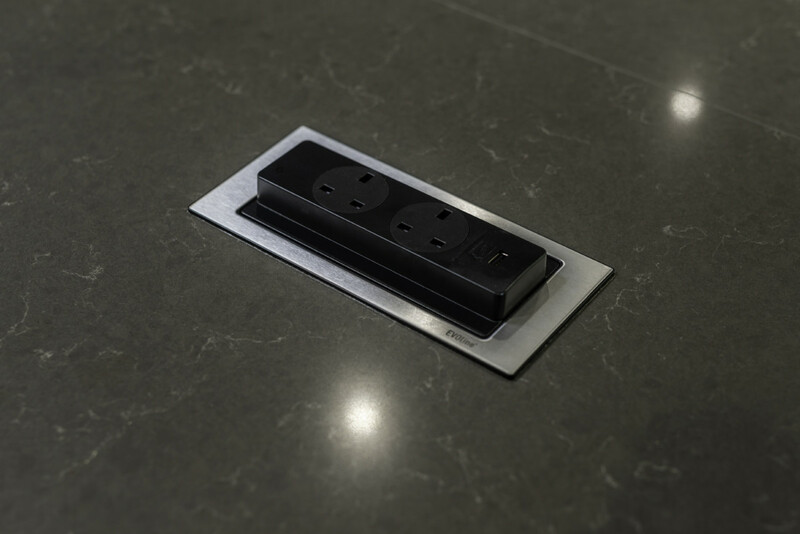 A few more features to note, the EVOline flip socket on the island gives the seating area access to power, whilst looking alot sleeker and less intrusive than a standard pull up socket. 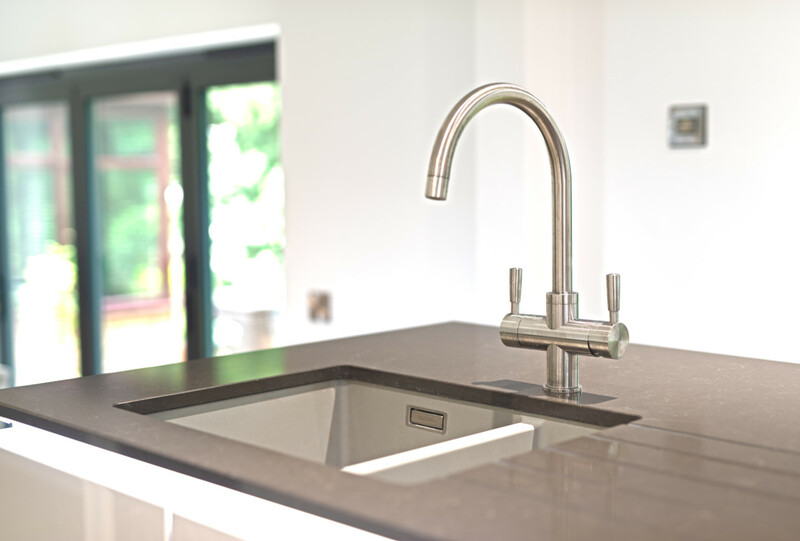 The Franke 4 in 1 Boiling water/filtered water tap looks great and is extremely practical.